When Comics and Animation and Illustration Scholars Convene, The Intellectual Yields Are Great. The primary aim of this conference is to bridge a longstanding divide between scholarship on moving and still images. While both forms share methodological approaches and theoretical assumptions, in practice they have remained distinct. 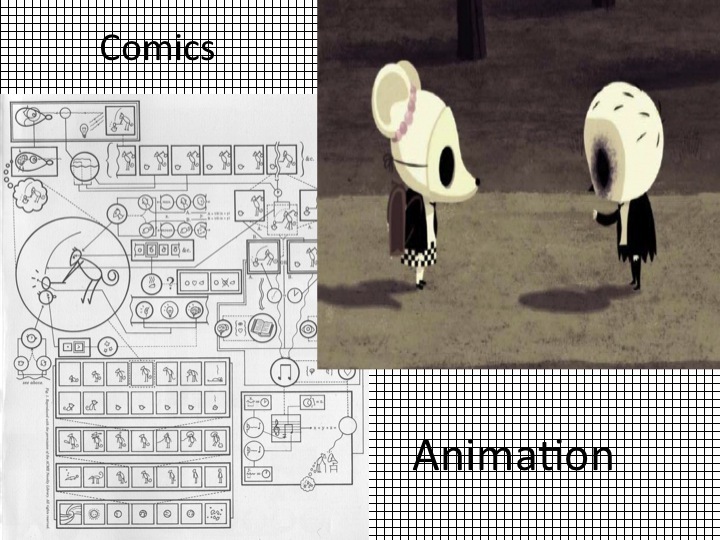 There are exceptions to the rule, but for the most part, many animation scholars belong to professional societies and publish in journals whose primary concerns do not include still images, illustrations, and comics or graphic novels. Historically and institutionally, such scholars have been classified as theorists of the image within a broader field of film analysis and their most theoretical works reflect that influence. Likewise, U.S. scholars of comics and graphic novels have tended to consider themselves within a broader field of literary studies, bringing semiotic image analyses to bear on issues of narrative, ideology and identity. 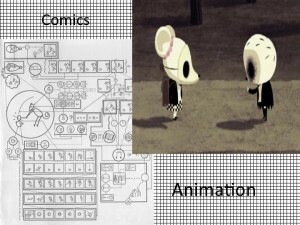 They too have organized themselves and their publications in terms of media exclusivity seldom including animated images. One of the first breaks in this conventional separation came from abroad. Japanese Manga (comics) and Anime (animated film) introduced a mixed category of image analysis in U.S. studies of them that elided distinctions of medium practiced elsewhere. And while this sudden laziness for managing difference was no doubt an attempt to recognize a more profound difference of nation, ethnicity, and race, it nevertheless made possible greater interdisciplinary cross-dialogue. This conference seeks to develop that dialogue. A true congress of scholars interested in the drawn, illustrated image promises to change our understanding of the image and the long train of rhetorical cognates that it brings with it, such as depiction, visuality, illustration, the pictorial, to name only a few. Less abstractly, the interdisciplinary insights that such a conference would yield are sure to make a lasting impression on all those in attendance, leading to publications with expansively reimagined audiences. My hope is that as participants enjoy sharing vivid presentations on animated post-humanity, caricatured politicians, or clever talking animals, they will feel the uniqueness of the occasion as well, coming away from this event with a new respect for the complexities not just of the human-made image but of the human.